TTO - Morning 22-5, at the airport Vung Tau, Ba Ria - Vung Tau Training Center Helicopter Corporation of Vietnam (Ministry of Defense) held the opening ceremony helicopter pilot training in 2012. Accordingly, in this course has more than 10 young pilots of the military forces will be trained. 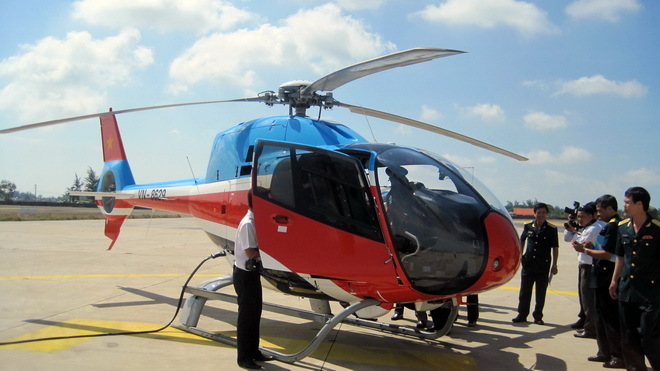 At the ceremony, Colonel Nguyen Van Vinh, director of the center, said this tag will use the center by the company aircraft Eurocopter EC 120 (France) production to train pilots. This type of small aircraft, only one engine. Saving the third training costs, reduce flight hours. Meanwhile, former major aircraft used to train every hour to spend U.S. $ 3500-3800. More importantly, the use of EC 120 aircraft will take the initiative to train human resources for mission pilots flying commercial, professional fields. The aircraft is also consistent with the major aircraft systems Eurocopper existing pilot corporations should be advantages to moving aircraft. Speaking at the ceremony, Major-General Ha Tien Dung, general director of Vietnam Helicopter Company, the center and asked the pilots are trained to study, training not only to domestic flights but also to integration of pilot proficiency international, can work independently, self-control in all situations. On behalf of the pilots are trained in this course, sergeant Do Xuan Hoang will confirm the students, teachers overcome difficulties, serious study to master modern means, conquering the sky, available ready to receive and fulfill the tasks assigned by superior. Since its inception (February 8-2004) to date, the training center has opened dozens of pilot training, perform 2300 hours of flight safety. 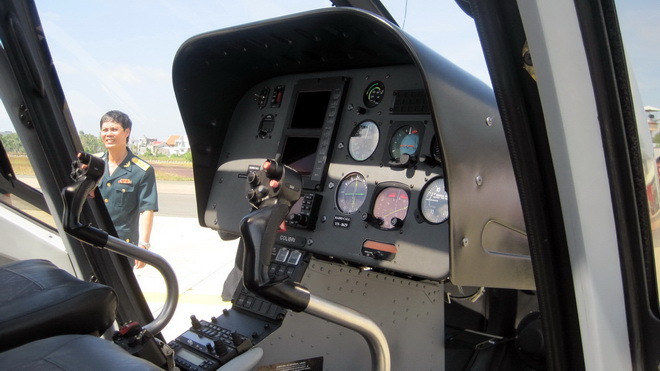 After the ceremony, the pilots were using EC 120 transport aircraft flying demonstration leaders, visiting three turns around Vung Tau sky and landed safely. The- Singapore Armed Forces (SAF) have received two batches of Rheinmetall Buffel (Buffalo) Armoured Recovery Vehicles (ARVs). IHS Jane's can reveal. The ARV will be used to support the 66 Krauss Maffei Wegmann Leopard 2A4 Main Battle Tanks (MBTs) already in service with the SAF. Final deliveries of the ARVs were made in 2011. 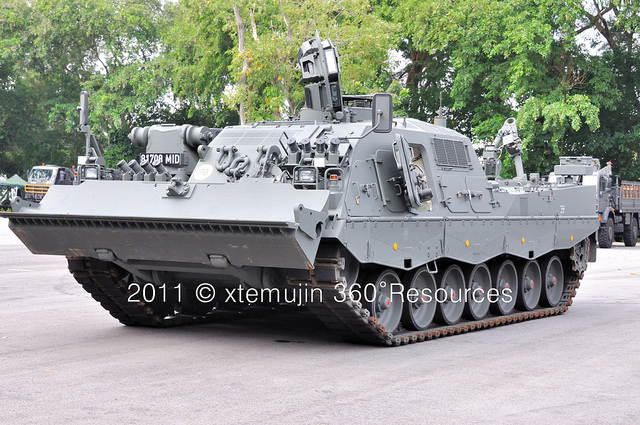 Germany supplied 96 Leopard 2A4 MBTs to Singapore : the remaining 30 were used for spares. The Leopards have replaced obsolete AMX-1 3 light tanks that are being phased out. The SAF Buffel ARVs are based on refurbished Leopard 2 hulls, with work carried out at Rheinmetall facilities at Kassel and Kiel. They have the same capabilities a new production ARVs and are fully equipped with winches, a hydraulic crane on the right side of the hull and a dozer/stabilizer blade at the front. While the Buffel ARV has been sold to Germany (75), Greece (12), the Netherlands (25), Spain (16), Sweden (14) and Switzerland (25), this is the first sale of refurbished platforms. Canada, which is following Singapore by ordering eight Buffel ARVs based on rebuilt Leopard 2 hulls, leased two Buffels from the German Army to support its Leopard 2 MBT deployment to Afghanistan. A Rheinmetall upgrade to these ARVs prior to their deploymentn included an enhance protection package and air conditioning. 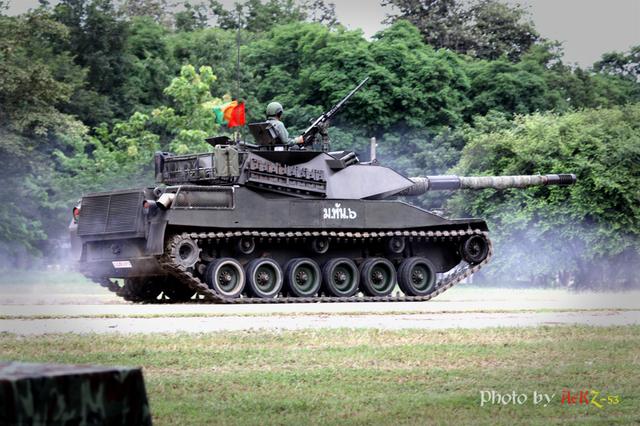 The SAF are also looking to replace their M60 based Armoured Vehicle Launched Bridge (AVLBs) and M728 Combat Engineer Vehicles (CEVs). 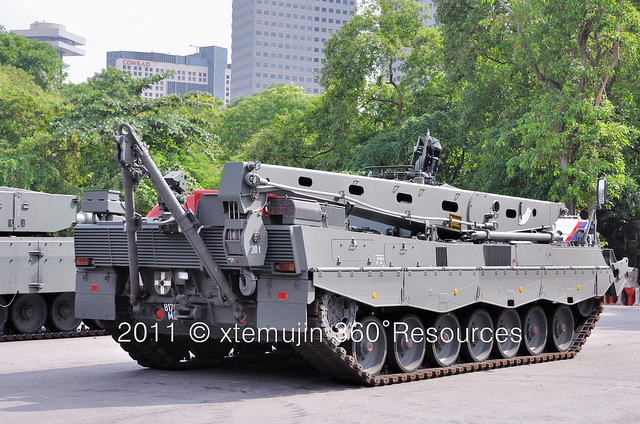 It is understood that Singapore is the first customer for the Krauss-Maffei Wegmann developed Leopard 2 Leguan AVLB, which has full armour protection and can launch one 26 m or two 14 m bridges horizontally over the front of the hull. By comparison, the M60 AVLB is fitted with a 19.2 m long scissors bridge that can span a gap of up to 18.2 m.
Singapore is also believed to be planning to replace the M728 CEV with a platform based on a modified Leopard 2 hull. One such contender could be the Kodiak Armoured Engineer Vehicle (AEV), which is in production in Switzerland after being developed as a private venture y RUAG Defence and Rheinmetall. The Kodiak has been sold to the Netherlands (10), Switzerland (12) and Sweden (six). Another contender could be the Wisent 2 Leopard Support Vehicle, which was developed by German company FFG and is also based on the chassis Leopard 2. The AEV version of the Wisent has been sold to Canada. REPUBLIKA.CO.ID, MALANG -- Skadron Udara 21 Lanud Abdurrachman Saleh di Kabupaten Malang, Jawa Timur, menanti kedatangan empat unit pesawat tempur Super Tucano EMB-314 buatan Brazil yang direncanakan tiba pada 28 Agustus 2012. 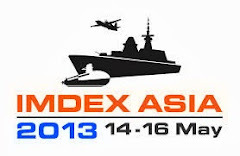 TSAMTO - Thailand plans to increase defense spending in FY 2013 7% - up to 180.8 billion baht (5.7 billion dollars). According to the budget committee of the government, the military budget in 2013 fiscal year 7.5% of total government spending, or about 1.45% of GDP. 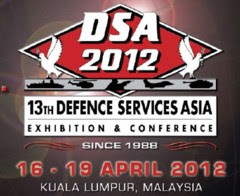 According to "Jane's Defence Industry" in 2013 fiscal year that begins in October 2012, the needs of the Army will be sent to the country about half of the allocation for defense appropriations. Army will be 88.8 billion baht, Navy and Air Force - 35.2 and 33.9 billion baht, respectively. The remaining 13 billion baht will be allocated between the Royal Guard, the Ministry of Defense and the Institute of Defence Technologies (DTi). Funding DTi, established in 2008 to grow the most - by 35% (up to 1.2 billion baht). This step is carried out under the leadership of Thailand's efforts to increase the capacity of the national defense industry and research in the field of defense. In defense research organizations in Thailand have been some successes. In particular, in 2011 produced a prototype of the DTi MRL based on 302-mm setting WS-1 produced in China (Institute acquired the project and related technologies in China in 2009). According to experts of the International Monetary Fund (IMF), resulting in devastating floods that occurred in 2011, the loss of the country amounted to nearly 50 billion dollars, bringing the country's GDP in 2011 will increase by only 0.1%. At the same time, according to April's review of "World Economic Outlook," IMF experts believe that the Thai economy is the fastest growing in the region of Southeast Asia over the next two years. According to the forecast, Thailand's GDP will grow by 5.5% in 2012 and 7.5% in 2013. Wellington New Zealand — New Zealand’s Defence Force (NZDF) has done relatively well with only a slight reduction in its overall budget for 2012-2013, according to released budget figures. As usual, the Army takes the largest slice of the overall 2.9 billion New Zealand dollar ($2.2 billion) defense budget, down from 2.91 billion New Zealand dollars from the previous year. Last year, the Army’s budget was 832 million New Zealand dollars and this year rises to 845 million New Zealand dollars. However, the Royal New Zealand Air Force enjoys a more than 5 percent budget increase, from 670 million New Zealand dollars to 790 million, while the Royal New Zealand Navy saw its funding fall by more than 4 percent, to 6.62 billion New Zealand dollars. Although the overall defense budget has diminished slightly, most NZDF capabilities will enjoy more funding. Only a few capabilities have had their funds cut, including the budget for land combat forces, reduced by 3 million New Zealand dollars to 362 million. The appropriation for the Secret Intelligence Service has been significantly reduced, by 4 million New Zealand dollars to 37 million. Among the capabilities with more funding is the awkwardly named Airborne Surveillance and Response Force of six P-3K Orions — currently being upgraded to P-3K2 standard — with a jump from 165 million to 178 million New Zealand dollars. 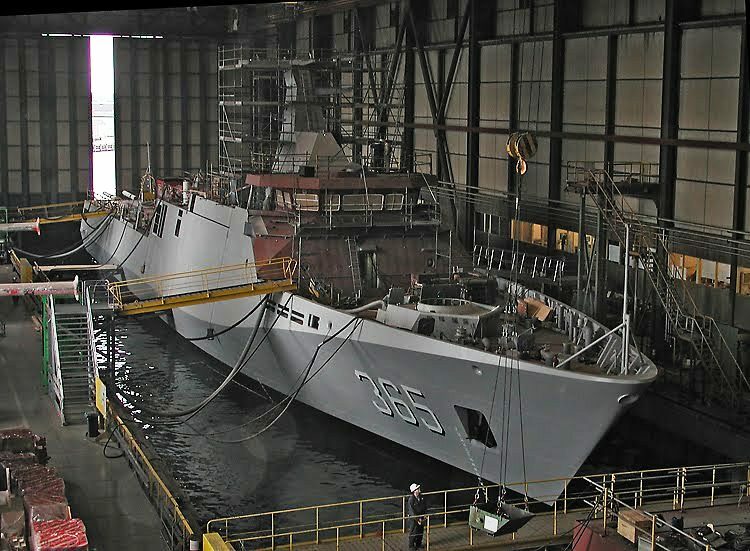 Funding for the Navy’s patrol force, consisting of two offshore patrol vessels (OPVs) and four inshore patrol vessels (IPVs), increases from 129 million New Zealand dollars to almost 137 million. But more money doesn’t always mean more activity. Last year, the IPV fleet fell almost 200 days short of mission availability days — only 847 of the targeted 1,038 — and for the new fiscal year that target has been reduced to 749 mission available days. In practical terms, this means it is likely that one or even two of the four IPVs will be spending more time alongside, unavailable for tasking or days at sea. Similarly, although the budget for the Air Force’s helicopters, with NH90s and A109s replacing Iroquois and Sioux, has expanded by no less than 75 percent, it will be some time before the new helicopters are fully operational, although the Navy has already made more than 100 proving flights with the A109 to and from its OPVs. Appropriations for the Ministry of Defence include 160 million New Zealand dollars for “the purchase, modification, or refurbishment of major items of defence equipment” for the NZDF. Not least, the Government Communications Security Bureau enjoys a funding hike from 57 million New Zealand dollars to 64 million. SURABAYA: PT PAL Indonesia (Persero) menyiapkan 150 teknisi ahli perkapalan untuk alih teknologi produksi kapal selam di Korea Selatan dan kapal perusak kawal rudal (PKR) di Belanda, menyusul dibuatnya kapal perang pesanan Kementerian Pertahanan di dua negara itu. The Australian Army’s fleet of Armed Reconnaissance Helicopters (ARH) has returned to regular training activities following the lifting of a temporary suspension that was put in place on 16 May 2012 due to the detection of fumes in the cockpit of the aircraft. 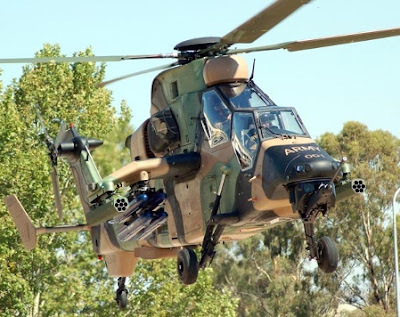 The Army Operational Airworthiness Authority lifted the suspension late yesterday following a detailed assessment and a recommendation from the Technical Airworthiness Authority to resume flying operations. There are 22 ARH in the Australian Army’s Oakey and Darwin based fleet, 19 of which are in the fully capable configuration operating in the fleet. The ARH will soon deploy on Army’s largest annual foundation warfighting exercise. Exercise Hamel will be conducted in the Shoalwater Bay Training Area over three weeks from 21 June. 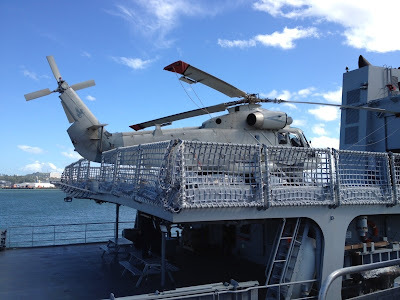 The Navy has successfully conducted trials of flying an SH-2G Seasprite helicopter from the deck of one of its Offshore Patrol Vessels, HMNZS OTAGO, marking a significant milestone in achieving the ship's full operational potential. 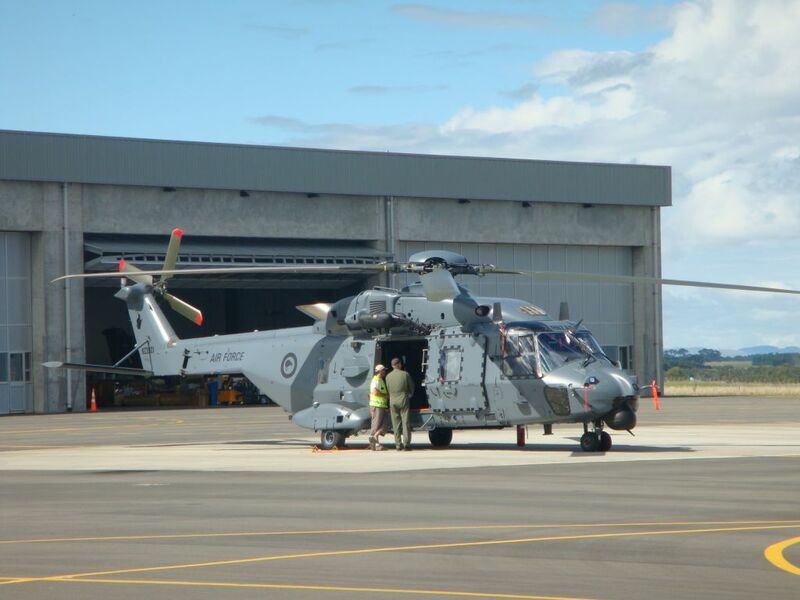 The trials have been conducted over the past month during which the Seasprite conducted 161 landings and takeoffs from OTAGO’s flight deck. The landings and takeoffs were done by day and by night in varying wind and sea conditions in the Hauraki Gulf and the Bay of Plenty sea areas. "Operating helicopters from ships underway at sea is one of the most challenging activities any Navy undertakes," says Chief of Navy, Rear Admiral Tony Parr. "We have been flying helicopters from the frigates for many years, but now we are learning how to operate these aircraft from a different ship with different characteristics." The trials proved that the Seasprite can conduct an airborne surveillance task from the OPV of up to 2.5 hours duration, which should enable 4500 square nautical miles to be covered in a single sortie by day or night. "The trials have proven the helicopter can operate off the ship across a wide range of sea and wind conditions. Although it will be some time before the full potential is released the Navy can now begin helicopter operations during which time we will continue to learn and develop our capability." 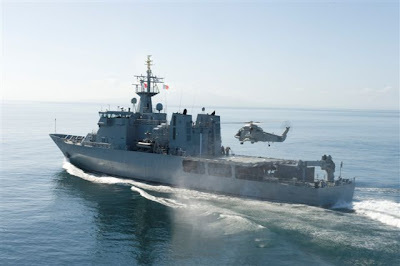 The two Offshore Patrol Vessels—OTAGO and WELLINGTON— are large, complex vessels that operate from the freezing cold of the Southern Ocean to the tropical heat of the Pacific Islands, giving New Zealand a broad patrol and surveillance capability. "The ability to land a helicopter on a ship underway at sea by day and night in different wind and sea conditions requires a rigorous and demanding test programme to determine what the limits of operation might be," said Admiral Parr. "The team in OTAGO, which included a number of RNZAF Seasprite technicians, were often operating in challenging conditions. Nevertheless the trials were completed in a thoroughly professional, safe and timely manner. "There will still be a considerable period of learning as we gain experience operating the aircraft on actual deployments." 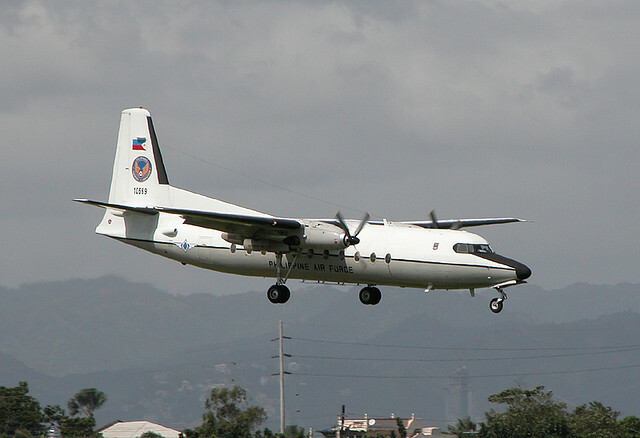 MANILA, Philippines—The Philippine Air Force (PAF) is ordering this year a number of brand new aircraft. These include 12 lead-in fighter trainer jets, eight light transports, three medium transports and attack helicopters. 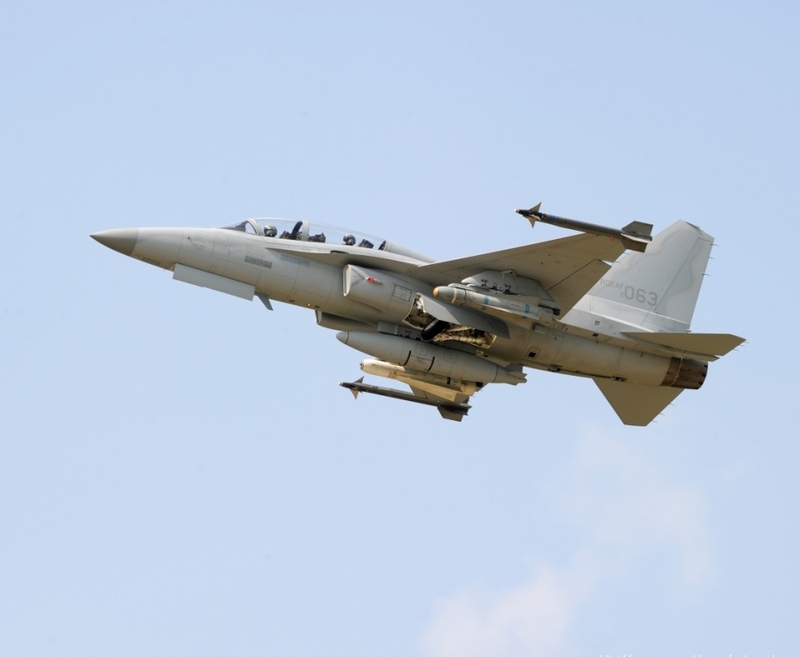 The PAF said the order is among 38 contracts that the air branch of the Armed Forces of the Philippines will sign this year. 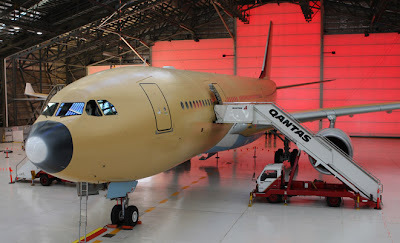 Delivery of the aircraft is expected in two years. “Within the year we expect to sign contracts. We have 38 projects lined up, foremost of which is the FAA lead-in fighter trainer or LIFT. We have attack helicopters coming, light transports and medium transports that are slightly smaller than the C-130 cargo plane” currently in use, PAF spokesperson Col. Miguel Okol said. “They have been approved by the senior leadership (of the Department of National Defense),” he added. He said the rest of the 38 contracts were still being finalized. From being one of the best in Southeast Asia during the 1960s, the Air Force fleet gradually deteriorated and became obsolete without being replaced, leaving the country with no external defense capability. To upgrade the entire military’s capabilities, the DND and AFP are working to fast-track the approval by July this year of a total of 138 contracts. The contracts, mostly aimed at boosting badly depleted air and naval assets, would be implemented for the duration of the Aquino administration. PERTH, Australia (UPI) -- The Aerosonde small unmanned aerial system is to be powered by efficient heavy fuel engines from Orbital Corp. of Australia. The engines, to be used on the latest configuration of the Aerosonde, use the Orbital's FlexDI Engine Management system to enable spark ignition operation of heavy fuels such as JP5 and JP8. Use of those fuels meets U.S. Navy requirements to eliminate gasoline fuels. The U.S. Navy and Special Operations Command recently contracted AAI Unmanned Aircraft Systems -- a U.S. company and subsidiary of Textron Systems -- to provide SUAS fee-for-service operations using the Aerosonde. "New ground had to be broken with AAI to meet their aggressive SUAS engine requirements, and we have been able to successfully develop and supply the demonstration engines from our Perth facility," said Terry Stinson, chief executive officer and managing director of Orbital. "This success now leads to production supply of engine systems. "This is good example of Australian innovation, and demonstrates Orbital's engineering and product development capabilities." Orbital said its engine for the SUAS can improve the aircraft's mission range by 40 percent or alternatively allow for greater and heavier vehicle payloads. 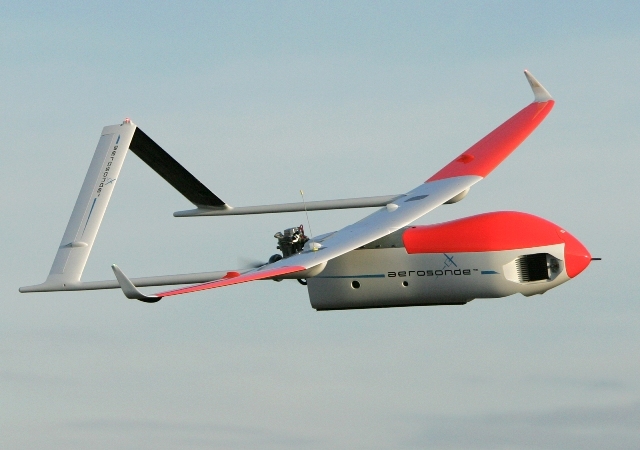 Aerosonde Pty Ltd. in Australia, a subsidiary of AAI, is a manufacturer of small UAS vehicles. The number of engines to be delivered was not disclosed, but Orbital indicated deliveries would take place this year. QUEZON CITY, (PIA) -- The Philippine Air Force (PAF) is planning to revive the famed "Blue Diamond" Squadron as soon as it acquires new aircraft capable of defending the country's airspace and humanitarian missions. This was learned from PAF spokesman Col. Miguel Ernesto Okol in an exlusive interview at Villamor Air Base (VAB) in Pasay City. “We have identified our needs through our capability upgrade program (CUP) and Defense Acquisition System (DAS) as identified by Defense Secretary Voltaire Gazmin,” Okol told the Philippine Information Agency (PIA). Okol said the highest priority is the revival of the country’s Air Defense System (ADS) which is in the form of Lead-in Fighter Trainers (LIFT)-Surface Attack Aircraft (SAA) role to be used for territorial defense as well as infrastructure. He said the PAF is expected to acquire new planes July 2012. These include TA-50 Golden Eagle (Korea Aerospace Industries (KAI) of South Korea; M-346 Master - Alenia Aermacchi (Italy); Yak-130 Mitten - Yakovlev Design Bureau (Russia); and L-159B ALCA - Aero Vodochody (Czech Republic). Okol said the PAF is also looking to replace its entire OV-10 Bronco fleet which is currently used for close air support and aerial reconnaissance platforms. 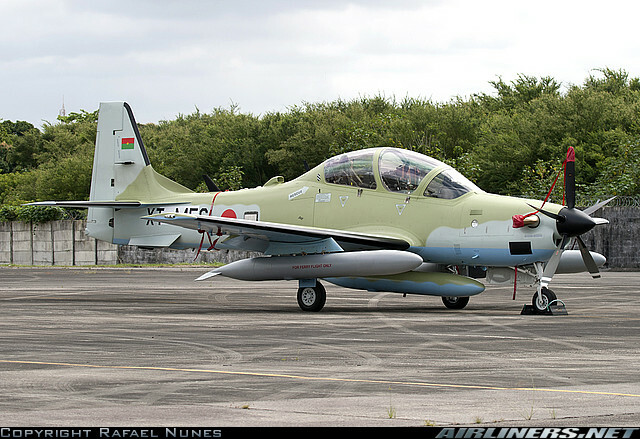 Being considered are the Hawker Beechcraft AT-6B Texan II, Embraer EMB 314 Super Tucano, KAI KA-1 Woongbi, and, reportedly, the Air Tractor Air Tractor AT-802U. PAF retired its fleet of Northrop F-5A/B Freedom Fighter with a ceremony on October 1, 2005. The F-5s were used by the PAF's Blue Diamonds aerobatics team and have appeared in several films and television programs shot in the Philippines. Okol said PAF is prioritizing the resurgence of its capability by acquiring leading multi-role fighter jets and other aircraft with disaster response capability. “If we already have a hundred fighter planes then we can revive the Blue Diamonds,” he said. The PAF official said a country’s precision aerobatics team carries the type of a combat aircraft of a nation. The United States has the “Thunderbirds” for the Air Force and “Blue Angels” for the Navy. Recently, PAF acquired multi-role helicopters worth P 2.8 billion which the Philippines received as part of its modernization program. The new W-3 Sokol (Falcon) helicopters are used for combat support as well as disaster relief missions. The navy has given up on its plan to buy six second-hand submarines and will opt for a high-capacity frigate instead. A committee, chaired by navy chief Surasak Roonroengrom, recently met to discuss the navy's strategic defence plan and its budget. 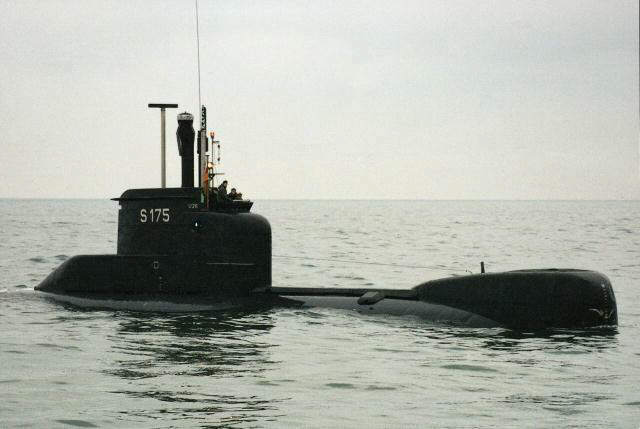 It resolved to scrap the plan to buy six second-hand submarines for a total of 7.5 billion baht from Germany, a navy source said yesterday. The navy's hopes for the submarines were dashed due to political intervention and heavy criticism from opponents. The project hit several stumbling blocks after it was proposed by former navy chief Adm Kamthorn Pumhiran, said the source. There was also an internal rift among navy officers. "Actually, it's the best opportunity for the country to buy the German-made submarines, which are good and recognised worldwide. "As the chances have diminished, the navy has to look for other things," the source said. 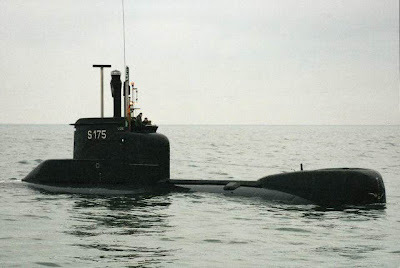 The navy could not afford to buy new submarines as they cost about 20 billion baht each. One report emerged that the submarine project had not been brought up at the recent cabinet meeting as the authorities were waiting for a reply from the Office of His Majesty's Principal Private Secretary and the Royal Household Bureau on whether the project was suitable or not. But Supreme Commander Gen Thanasak Patimapakorn strongly denied the rumour. As the submarine project has been scrapped, the navy has also decided to give up on its plan to buy two anti-submarine helicopters worth about 2 billion baht. It would instead propose the procurement of one frigate, said the source. The navy has been allocated a budget of 35 billion baht for this fiscal year. MANILA, Philippines - The Philippine Navy needs almost P500 billion to buy ships to effectively secure the country's vast territorial waters, a Navy official said Thursday. The amount will go to the purchase of frigates, corvettes, patrol vessels, landing craft, submarines, and other vesseks and equipment, according to Lt. Commander Nerelito Martinez, Philippine Fleet acting chief of staff for plans and programs. He said the need for such vessels and new equipment was thoroughly assessed during the Navy's strategic planning workshop last year. "Current market research and assessment will give us a figure of about P497 billion for the acquisition of all the listed equipment. It may be costly at our current standards but is not unrealistic," Martinez said. The vessels that the Navy needs now are 6 frigates configured for anti-air warfare. The frigates will be able to carry helicopters. "The vessels shall be deployed for naval deterrence and naval presence in critical areas. The vessels shall also be deployed to support the country's international defense and security engagements having (the) capability for long-range high seas navigation," Martinez said. He added that the Navy also needs 12 corvettes, 18 offshore patrol vessels, and 3 submarines for undersea defense, and 3 mine countermeasure vessels. The list also inclues 4 strategic sealift vessels; 18 landing craft, 3 logistics support ships, 6 tugboats, 12 coastal patrol vessel, 30 patrol gunboats, 42 multi-purpose assault craft; 24 rigid-hull inflatable boats, 8 amphibious maritime patrol aircraft, 18 naval helicopters, and 8 multi-purpose helicopters. The Philippines and China are currently locked in a territorial dispute over ownership of Scarborough shoal in the waters just off Zambales. The Royal Australian Navy (RAN) has secured funding for flight trials of a number of embarked UAVs as it works towards its ambition of having a naval UAV squadron before 2020. 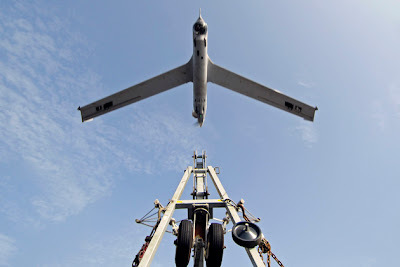 Speaking at the UV-Pacific conference being held on the Gold Coast, Australia on 24 May, Lt Cdr Bob Ferry, naval UAS development project manager, said that over the coming financial year trials would be carried out on the ScanEagle, Aerosonde and Camcopter. ‘We are about to tap into the existing Insitu Scan Eagle contract – we are signing up for 300 hours in the next financial year to continue experimentation. I am going to spread it amongst these three [platforms] – primarily Scan Eagle for 300 hours,’ Ferry said. He noted that first of class flight trials (FOCFT) would be carried out on an ANZAC frigate in September 2012 and would then take place on HMAS Choules in early 2013. Open ocean warfare experimentation would be carried out in November 2012 while the navy plans to do patrol boat trials using ‘hub and spoke’ land-based operations. The RAN currently has no UAS systems in service and there are no acquisition projects in place. However, there are plans for this to change and a Naval Unmanned Aerial Systems Development Unit (NUASDU) was formed in February 2010 to study the issue through to mid-2013. With Australia working on a new defence white paper, which is expected to be released next year, there is expectation that naval UAV operations will be mandated, despite the ‘current fiscal and manpower constraints’ that are hampering its introduction. ‘The 2009 white paper made mention of UAVs on ships. It said we could operate them but didn’t give us much leverage to go and spend millions of dollars. A force structure review paper on UAVs was specifically asked for by CN [Chief of the Navy] and he endorsed it in February, with the intent of it going forward into the next white paper,’ Ferry explained. Ferry noted that the Naval Aviation Vision 2020 forecasts the establishment of a naval UAV squadron before 2020 and the navy is still tracking towards that. 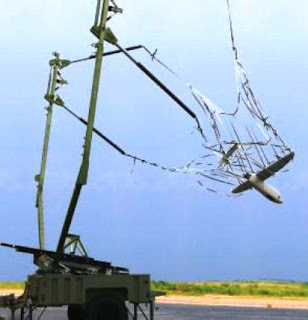 The issues that need to be resolved for this to happen include: determining what the UAS controller/maintainer qualifications ought to be, especially given the UAS will be required to operate in civil airspace; what the system certification be and would they be state registered, ADF owned or civil registered; and interoperability between ship classes and other ADF assets. To help resolve some of these issues, the navy has embedded two personnel into the Royal Australian Air Force Number 5 Flight, which operates the Heron UAV, to bring back feedback from their experience. The Republic of Singapore Air Force (RSAF) enhanced the intelligence, surveillance and reconnaissance (ISR) capabilities of the 3rd Generation Singapore Armed Forces (SAF) as it inaugurated the Heron 1 Unmanned Aerial Vehicle (UAV) into 119 Squadron (SQN) on 23 May. 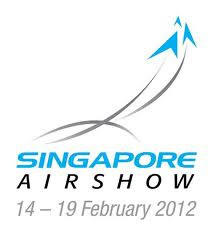 Minister for Defence Dr Ng Eng Hen, who officiated at the inauguration ceremony at Murai Camp, pointed out that the SAF's vision for UAVs started as early as the 70s, quoting Singapore's first Defence Minister Dr Goh Keng Swee: "For our kind of terrain, we must have Remotely Piloted Vehicles. We must see the enemy without being seen." "The UAVs have realised the vision of SAF’s founding pioneers but only through continued investments to develop this capability," he added. "As a result, the SAF today is an advanced user of UAVs... (which) are used routinely in exercises as well as in operations." Highlighting the importance of the UAV in transforming the SAF into a modern and effective fighting force, Dr Ng noted that the Heron 1 UAV will "provide our commanders, planners and soldiers on the ground (with) better situational awareness to make timely and informed decisions to engage the adversary decisively and complete their missions effectively". Featuring state-of-the-art avionics, detection capabilities and communication systems, the Heron 1 UAV will replace the Searcher-class UAV that has been in service since 1994. Compared to its predecessor, which has a maximum operating altitude of 10,000 feet, the Heron 1 UAV can fly twice as high at 20,000 feet. 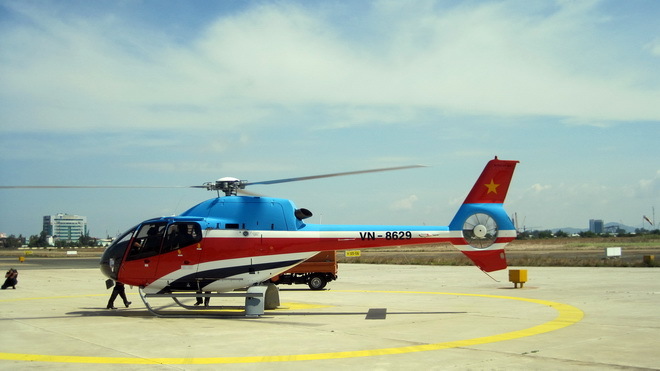 It has a flight endurance of over 24 hours, more than three times that of the Searcher UAV (eight hours). Furthermore, the Heron 1 UAV has a maximum operating range of 200km, double that of the Searcher-class. The advanced UAV is also equipped with an Automatic Take Off and Landing (ATOL) system, which allows a desired flight route to be scheduled prior to launch, and is able to return to a pre-designated recovery point at the end of its mission. This enhances the timeliness in which information is disseminated, as UAV operators can focus on collecting and processing information instead of flight operations. Lieutenant-Colonel (LTC) Kenneth Won, Commanding Officer of 119 SQN, was proud of his squadron's achievements in being the first UAV squadron to operate the Heron 1. "It's not always been smooth-sailing; there have been a lot of challenges along the way but we've achieved a key milestone in bringing in this new capability. More importantly, we have built a team in which the operational and logistics crew are strongly integrated." He noted that the Heron 1 UAV's advanced surveillance and reconnaissance capabilities will provide the RSAF with "sharper eyes" in the skies, which will be an important component in the complex battle environment of the future. Officer Commanding of 119 SQN and UAV Pilot Major (MAJ) Low Jun Horng commented on how the improved systems of the Heron 1 UAV have made it more mission-effective: "The Heron 1 provides us with an enhanced situational awareness of the battlefield as it has better detection capability and three times the flight endurance of the Searcher UAV... It also gives us the ability to see things in colour as compared to the monochrome video system of the Searcher UAV. This allows us to detect targets that could not have been detected previously with the Searcher." 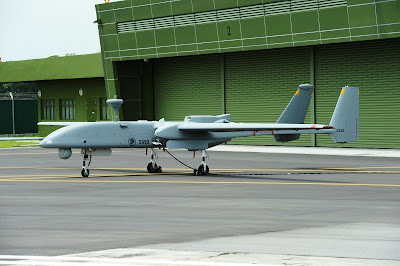 Paying tribute to the personnel of 119 SQN, Dr Ng said: "The advanced surveillance and reconnaissance capabilities of the Heron 1 UAV are, however, only as effective as the people who operate and maintain them. I would like therefore to commend all of you, the men and women of 119 Squadron, who have worked tirelessly in the last year to ready the Heron 1 UAV systems to support the SAF's operations." Senior Parliamentary Secretary for Defence and National Development Dr Mohamad Maliki Bin Osman, Chief of Air Force Major-General Ng Chee Meng and senior officers from the SAF were also present at the ceremony. 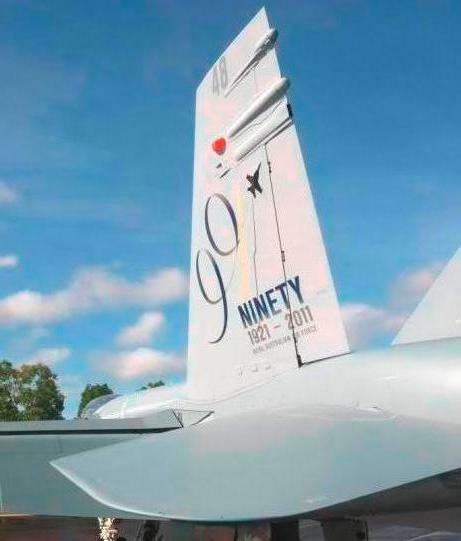 Minister for Defence Materiel Jason Clare today announced that Victorian-based company Lovitt Technologies had won a contract with Boeing valued at nearly $1 million for wing parts for the worldwide F/A-18 Super Hornet fleet. “This is an outstanding achievement for Lovitt technologies and is the result of their hard work and demonstrates their high level of manufacturing capability,” Mr Clare said. Lovitt Technologies employs around 80 staff and specialises in machining, assembly and testing of aero structures. Lovitt Technologies also recently won another contract with Boeing to supply machined parts to Boeing for the V-22 Osprey. Lovitt is one of several Australian companies that have in recent months been successful under the Global Supply Chain (GSC) program in penetrating the overseas export market. It has been engaged in the Australian Government’s Global Supply Chain Program since the program’s launch in 2009. Six global defence prime contractors – Boeing, Raytheon, Thales, Northrop Grumman and more recently BAE Systems and Lockheed Martin – are now actively engaged in the Global Supply Chain program implemented through the Defence Materiel Organisation. The contract awarded to Lovitt also reinforces Boeing’s ongoing commitment to Australian industry through the Global Supply Chain Program,” Mr Clare said. “The Global Supply Chain Program continues to provide an avenue for capable Australian companies seeking to win export work with international defence primes. “The value of export contracts won to date that have been facilitated through the Global Supply Chain Program is now more than $446 million,” Mr Clare said. Another Warship from Europe for Philippines ?